Since launching in 2008, Apple's App Store has quickly risen as a disruptive platform for interactive media that has pushed the technological landscape forward with new apps and experiences for consumers to discover each day. It has been a game changer that has excited and surprised hundreds of millions, and forever changed the way software and games are distributed and sold to much of the world. The App Store opened to consumers with 500 apps on July 10, 2008 alongside the launch of the second-generation iPhone. That day marked the introduction of a comprehensive content distribution system that launched many successful apps and games such as Shazam, Facebook Mobile and Super Monkey Ball. Since then, the App Store has spurred a flurry of creative apps and ideas across a number of categories including not just games but education, productivity, food & drink, health & fitness, travel, among others. 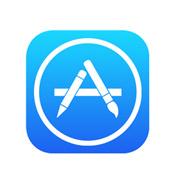 Apple saw 10 million app downloads in that first week and continued hitting milestones in rapid succession. Now after more than 85 billion downloads, $25 billion paid out to developers, and an immeasurable impact on how people consume content, the App Store continues to shape industries of all kinds.